The Edwardian era corresponds to the reign of England's King Edward VII that is from 1901 - 1910. 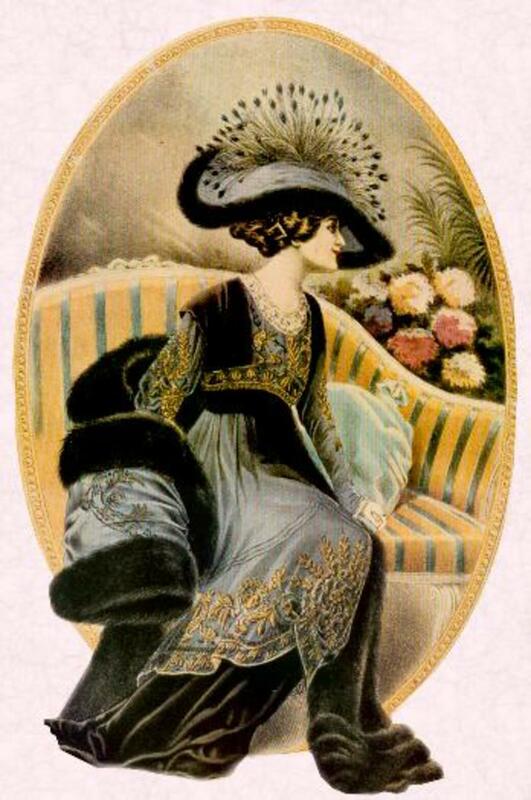 La Belle Epoque refers to the time between 1871 - 1914. So the Edwardian era falls within La Belle Epoque, also called the Gilded Age. During that period the western world was filled with optimism. The western world was at peace and prosperity reigned. This period saw the invention and use of the telephone, electric lights, neon lights, early moving pictures, medical advances like the understanding of germs and how they worked. Great changes came to the art world as well as new innovative styles were introduced in music, dance, and in the fine and decorative arts. Of course, the Gilded Age did not do much for the working poor. Labor was cheap, and workers toiled and lived in terrible conditions. Toward the end of the era, the social justice movement fought for the rights of workers, the right for women to vote, child labor laws, and compulsory education.